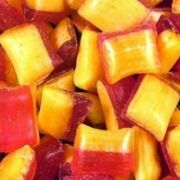 Gone are the days when sugar-free sweets were the poor relation to their non diabetic counterparts. Look at the selection below to see how things have changed. Many of them (particularly the handmade sugar free sweets) are works of art. And they taste every bit as good as they look. In fact, these days many people eat sugar free sweets by choice... not because they have to.